Sac pentru copii cu o inaltime de max. 1,5m, ideal pentru micile aventuri. Plaja temperaturi: comfort: de la -4gr.C la +15gr.C. Umplutura din holofibra durabila, usor de intretinut si comfortabila chiar si un conditii de umiditate si frig. Sac de dormit tip mumie din material moale, placut la atingere, cu o buna respirabilitate si protectie la intemperii. 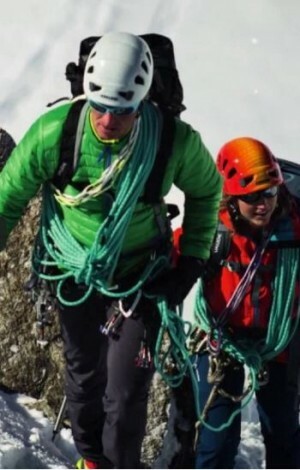 Lumgime=170cm, latime la solduri=70cm. 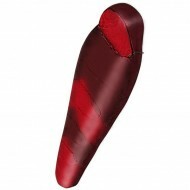 Husa de protectie, greutate de doar 1100g. Culori albastru/galben. Buzunar interior. Fermoar 2way protejat. Conform EN-13537. Import Germania. Sandman - a real classic for kids, which sends the little adventurers to sleep and brings them sweet dreams. 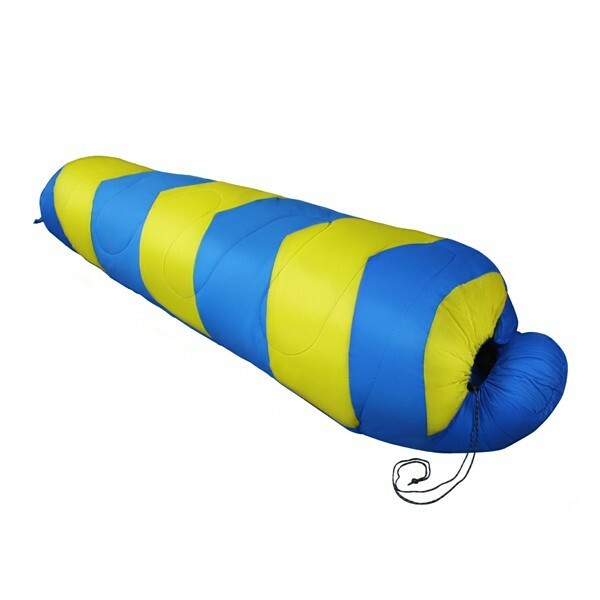 This sleeping bag is perfectly suitable for overnight stays with friends, in youth camps, on class trips or for camping. 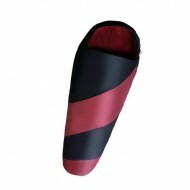 The durable hollow fiber filling keeps a permanent warmth, is easy-care and offers comfort even in damp and cold conditions. 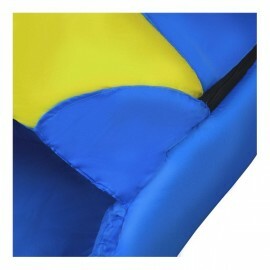 The soft and cosy material and the preformed hood give a comforting sleep, so your little ones will feel at home. 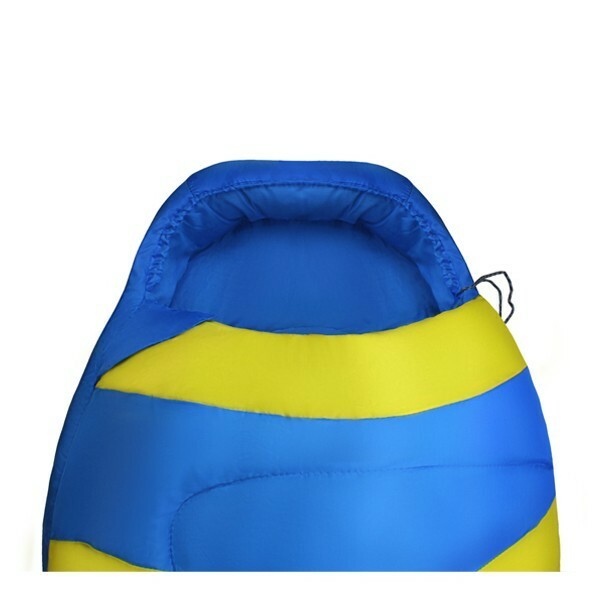 With a breadth of 70 cm across the shoulders and a length of 170 cm, this sleeping bag offers ample space for children up to a body height of 150 cm. 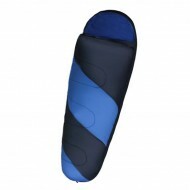 Due to the low weight of 1,100 g and the handy carry bag, this sleeping bag can be stowed well. Zipper optionallyleftorright. Hollowfibre has the same isolating properties as the classical down. The advantage of hollow fiber sleeping bags is the insensitivity against dampness and water compared to the classic down sleeping bags. 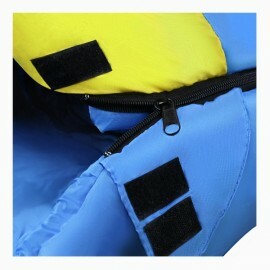 Hence, hollow fiber sleeping bags are washable. You often find the term „synthetic fiber“ in connection with sleeping bags. This quality, however, is often considerably lower than the quality of hollow fibers, even if hollow fibers are also synthetic fibers. 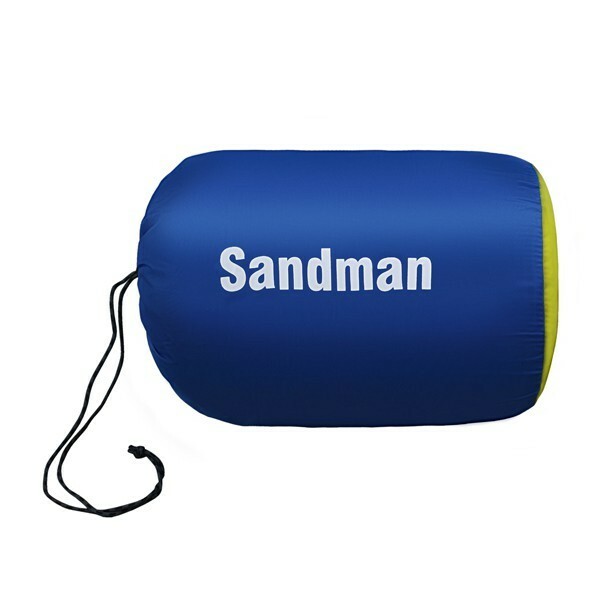 A hollow fiber sleeping bag is always marked as such.